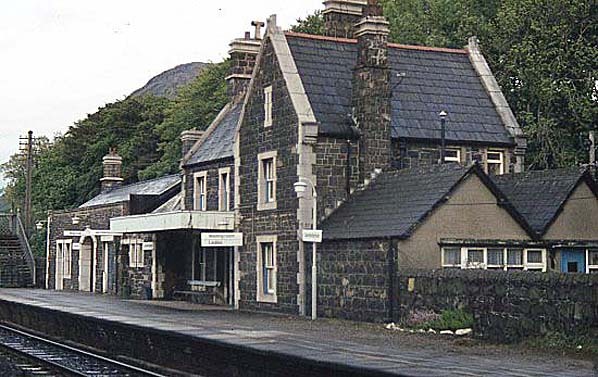 Present state: Station building was demolished to enable the A55 trunk road to be built. The new section of A55 opened in October 1989. 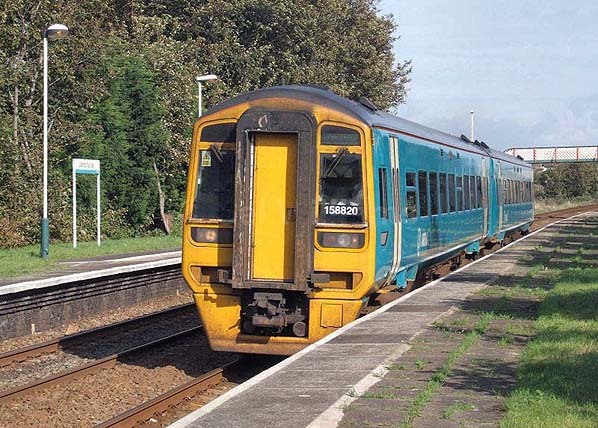 Platforms and footbridge are still extant. 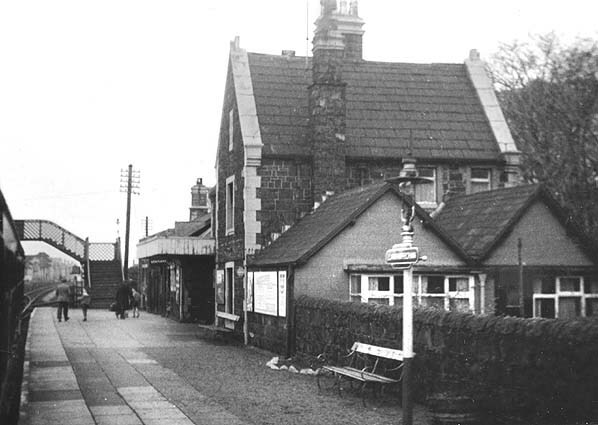 Notes: Llanfairfechan Station was opened on the 1st May 1860 by the LNWR on their Chester to Holyhead main line which had opened in 1848. 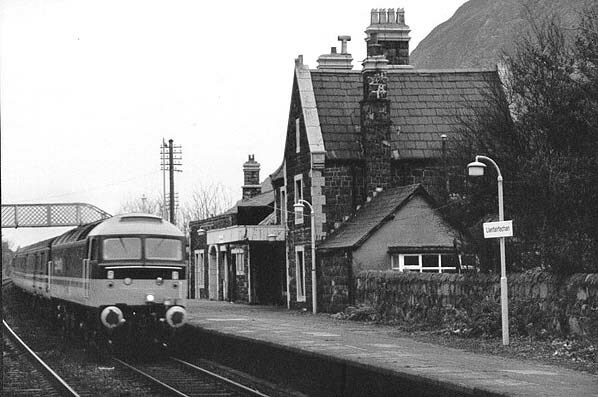 The station was provided with two platforms and a handsome two storey brick built building on the Holyhead direction platform. a period while this work was being done. The original station footbridge survived the alterations but very little of the presentl station is original. Further reading: The Chester & Holyhead Railway by Peter E. Baughan (1972) - Volume 1 & 2, Published by David & Charles ISBN 10-0715356178 and Regional History of the Railways of Great Britain Vol.